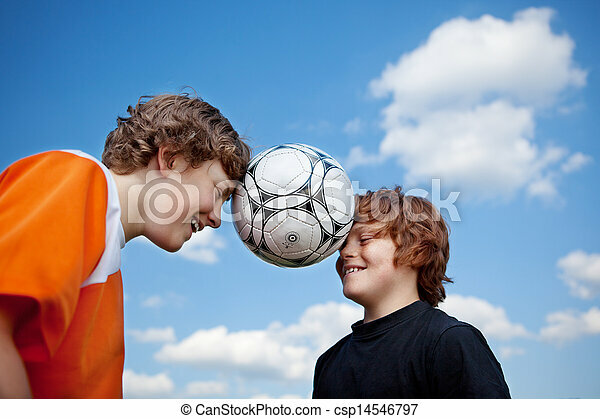 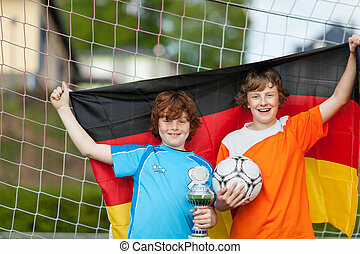 Boys balancing soccer ball with heads against sky. 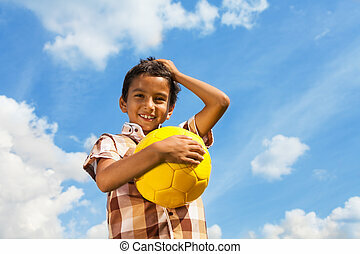 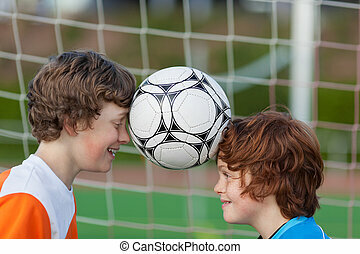 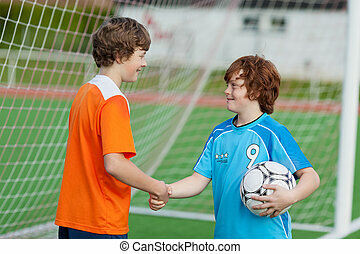 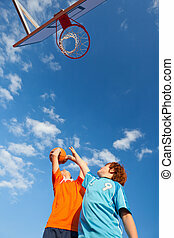 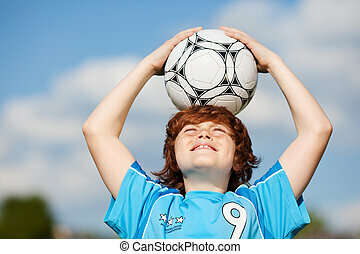 Low angle view of boys balancing soccer ball with heads against sky. 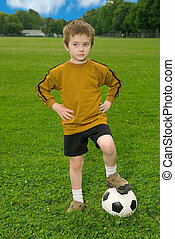 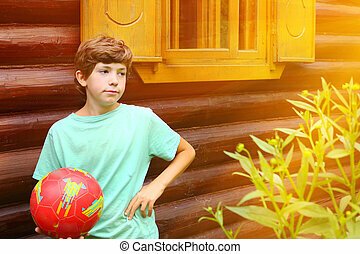 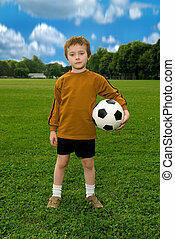 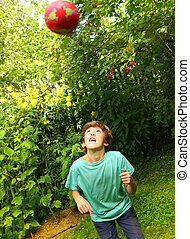 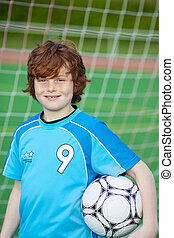 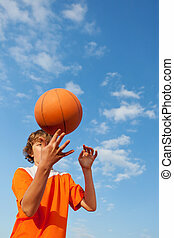 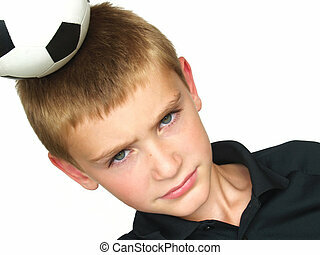 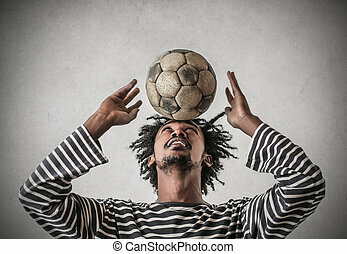 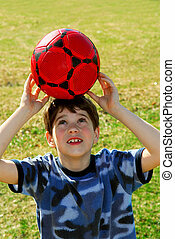 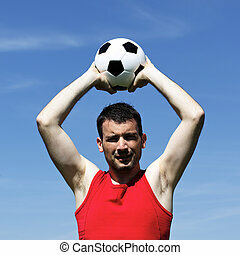 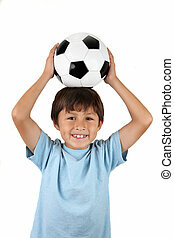 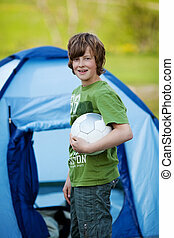 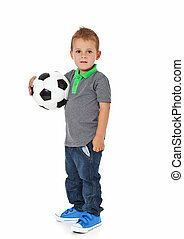 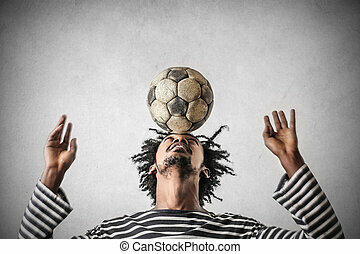 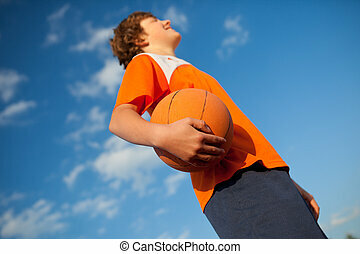 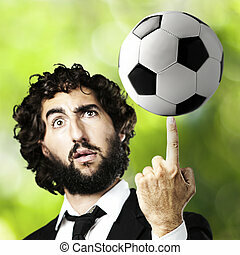 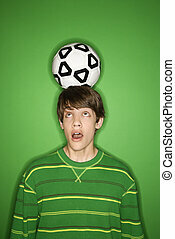 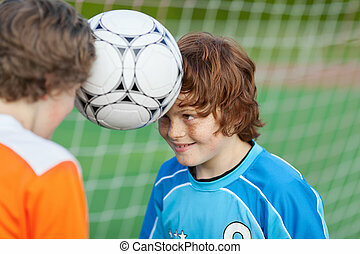 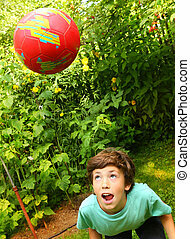 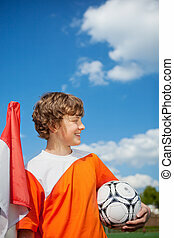 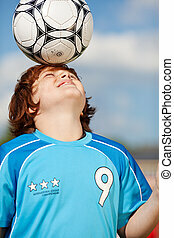 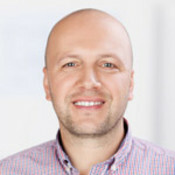 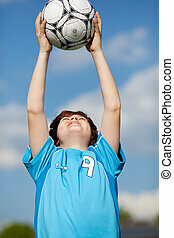 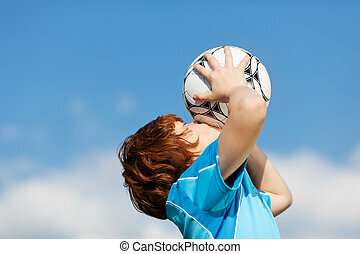 Portrait of Caucasian teen boy balancing soccer ball on head and looking up at it with eyes.